Being on this paradise island enjoying the beaches and sea, great food, and cocktails then dancing the night away, is what Phi Phi Island is all about. 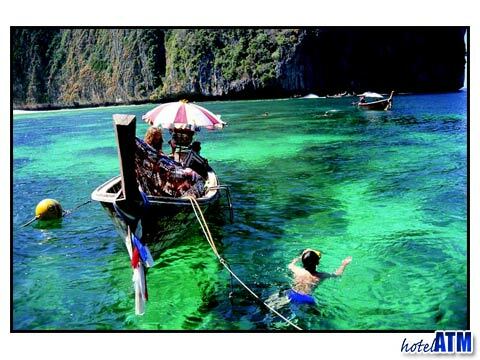 There are things to do on Phi Phi Island no matter what your pace, style, tastes, wants and dream. What should you do on Phi Phi Island? Start your morning off with a good cup coffee or tea before strolling the beaches and seeing this beautiful paradise island. A nice leisurely morning is a great way to feel the vibe and unwind from the stresses you left behind. Phi Phi is an island without cars, so you will find that the whole place moves at a pre-industrial pace, EEEEEASY. Phi Phi island center is an Asian Bazaar of small tracks with shops lining the roads selling every thing from local produce to Phi Phi souvenir t-shirts, jewelry from shell and silver (a specialty), reproduction paintings, a plethora of travel shops selling tours and snorkel equipment and more and more. Adventure into the crystal clear sea of your resort and enjoy the embracing warmth of the tropics. Bath in the 29C water till you're bored! Take a PADI scuba diving course, the underwater here is breath taking (not literally), join the vibrant coral reefs. Snorkeling will be unforgettable in this magnificent tropical beach resort. For the more adventurous there is hiking to Viewpoint, shark watch using snorkel and masks, cave kayaking and cliff jumping. The list of things to do on this paradise island is countless. The non adventure type will be happy to know that they are in the majority. Relax on the beach, by the pool, read a book, sip a beer.. you've earned it. If you want to sight see there is a one day tour that takes you to all the main places of interest and then you can get back to sitting still and living paradise. No better way to start your evening off on this island paradise than visiting one of the local seafood restaurants on Phi Phi Island. You may be surprised to find a number of excellent places on the island as you walk through the quaint towns on the footpaths. There are independent restaurants and restaurants in hotels and resorts to choose from. It doesn't get more romantic than eating out under the stars. The food can be rather spicy but fear not, you can request something that suits your taste buds. There are dozens of great restaurants to choose from. 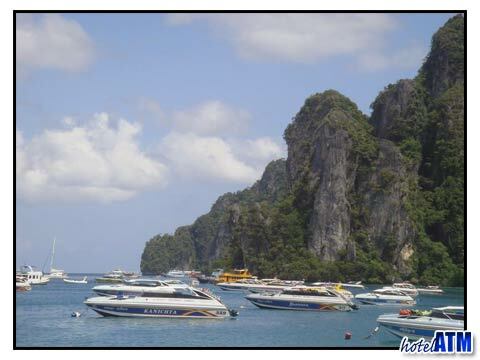 There are so many things to do on or near Phi Phi Island that you can fill your holiday with everything or nothing, whatever your pace Phi Phi Island is a great holiday destination. Bring the family, bring some friends, bring that special someone or just visit Phi Phi Island on your own and see all the things to do in Phi Phi Island.